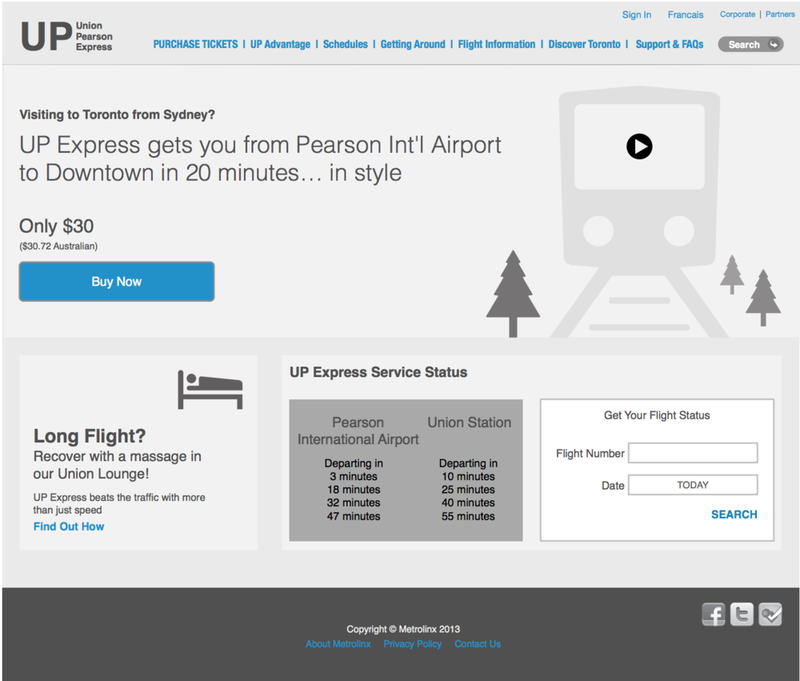 In 2013 KBS+ was asked by Metrolinx, Toronto's transit authority, to develop the digital experience for their new light rail system connecting Pearson International Airport with the Union Station in downtown Toronto. The system was destined to be a premium experience, to appeal to business travellers, and to give visitors to Toronto a very positive first experience in the city. This was a high profile project that was receiving a lot of attention from government, sponsors, and the media. After extensive stakeholder interviews, we were able to create a definitive set of personas, and user stories with which to then go back to all of the stakeholders and get sign off. This process was instrumental in discovering what features were crucial, and push back on the site being overloaded by legacy systems and tools. User surveys were used to identify the preferences and needs of regular business travelers, to help make the site fast to use for renewing and also retrieving receipts for expense reports. Discussions with the Tourism board helped determine what information would best help visitors to Toronto. A strategist and I developed a content strategy to make sure current and relevant content would be served up.